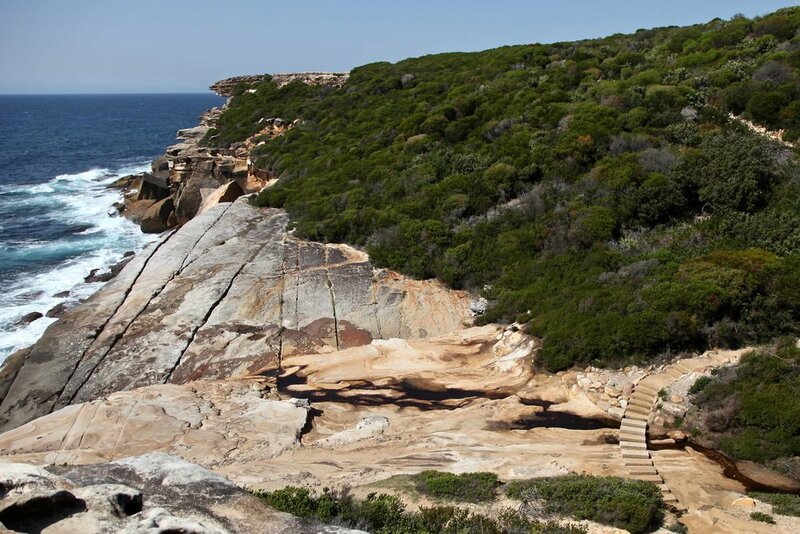 The Coast Track is a 26km walk through Sydney’s Royal National Park. It runs along the coastline between Bundeena in the north and Otford in the south. This track is usually done over two days, with a night camped out at North Era beach to break up the walk. For a while now I’ve wondered if I could walk the Coast Track in a single day. With a month until I jet off to New Zealand to tackle the Kepler Track (60km over three days) I’m trying to get in as much walking as I can. This means hikes most weekends to make sure I’m in as good a shape as I can be. With that in mind, I figured there was no time like the present to give my ‘Coast Track in a day’ mission a go. Royal National Park is located just south of Sydney and both ends of the Coast Track are accessible via public transport. If you’re starting at Bundeena you’ll get the train to Cronulla and then head around behind the station to get the ferry across to Bundeena. If you’re starting at Otford you can take the train straight down to Otford Station. Having taken the train from the city, I arrived in Cronulla with a half hour to spare before the ferry to Bundeena departed. I took the time as an opportunity to get some toast at a nearby cafe to make change for the ferry (it’s about $6.80, cash only, paid on-board)… and apply 50+, because while it might’ve been morning, it was also summer — the temperature was in the high twenties and rising. This ferry runs between Cronulla and Bundeena. Timetable here. Once the ferry arrived, it was it was off across Port Hacking to Bundeena. From Bundeena wharf it’s a short walk through the village to get to Royal National Park and the start of the Coast Track. There’s street signs to guide your way, or Google maps will get you there. I’ve pulled together my top tips for hiking The Coast Track at the end of this post, but here’s the two main things you want to be thinking about before you start walking if you’re starting The Coast Track at the Bundeena end: drinking water, and toilets. Bundeena is your last chance to sort out your water situation, if you’ve not already. With the exception of Garie Beach kiosk (which is not always open and should not be relied upon), there’s no treated drinking water available on the the Coast Track, so you should either carry what you need (several litres, at least) or have a means to treat the water you come across on the way. At this point it’s also worth knowing that there is a public toilet block a few minutes walk from Bundeena wharf (take Loftus St), as well as some in a demountable at the start of the track just inside the park — then no more loos until Wattamolla and Garie. After setting out on the Coast Track from Bundeena, many people head straight to the crumbling cliff edge of the now insta-famous Wedding Cake Rock. You’ll see signs urging caution and a fence too. You’ll likely also see a line of people who’ve jumped the fence to pose precariously on the cliff edge. I dig that people come from all over to get their moment with a rock, in the same way that I adore Wanaka for making a local tree famous (#thatwanakatree). But Wedding Cake rock is in pretty dodgy shape, so maybe have a wee gander from afar and enjoy all the other awesome rocks The Coast Track has to offer. Starting The Coast Track at Bundeena, The Balconies offer up the first knockout coastal view: the sweeping view of the oceanic expanse, and the sprawling coastline in all its glory. The Balconies near Wedding Cake Rock on the Coast Track in Royal National Park. The Coast Track is a 26km walk through Royal National Park south of Sydney. The Coast Track from Bundeena to Otford. The first beach you come across when walking the Coast Track from Bundeena, is Marley Beach. Then the coast is dotted with pretty little beaches all the way through to Otford… Little Marley, Wattamolla, Garie, Era, Burning Palms. The Coast Track leads down to Marley Beach in Royal National Park, south of Sydney. Marley Head near Marley Beach on the Coast Track in Royal National Park. Marley Beach is an unpatrolled beach in Royal National Park. 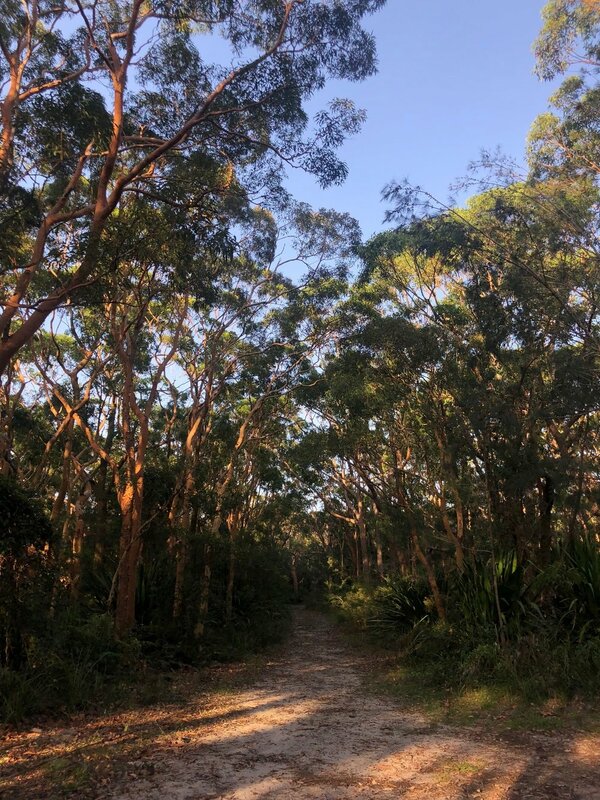 The NSW Government is investing in building boardwalk for popular sections of the Coast Track to make it more accessible and to protect the surrounding bushland. Garie Beach in Royal National Park. I had casually considered making Wattamolla Beach my lunch stop — it’s about 10km into the Coast Track from Bundeena — but it was chockers thanks to school holidays, and to be honest, I’d only walked 10km and wasn’t quite in need of lunch just yet. So onwards I went, in another 7.5km I’d be at Garie Beach. At Garie Beach I found myself a shaded spot to enjoy lunch while overlooking the ocean. While I’d been snacking a little along the way, I was well and truly ready for a decent feed and a proper break. Garie Beach — my lunch stop when walking The Coast Track in a day. What a view, eh? Garie Beach is about 17km from Bundeena wharf. I’d walked the majority of the kilometres I was due to walk. I knew I had climbs ahead of me and that they’d be a challenge. I also knew I had the daylight hours to take them slow. But before those climbs, it was time to sit in the shade and do lunch with a view. After lunch I stopped in at Garie Beach kiosk (fyi: cash only) where I rejoiced at the opportunity to get a cold drink 🙌🏻 The ice-cold water sure beat what I was guzzling from the hydration bladder in my pack. After having lunch at Garie Beach it was mid-afternoon and I had about 10km to go so I decided to put my camera away and focus on walking. The rest of the photos from this hike are from my phone. With the sunset at 8pm, I was confident I’d make it to Otford before dark… that said, it was around 30°C and I had some decent climbs ahead of me, so it wasn’t going to be a casual coastal saunter. And so I set off once more — off the sand and up the hill, past the shacks over looking Little Garie beach — my next stop would be North Era*. View over Garie Beach and some of the coastal shacks. The cabin community of Little Garie in what is now Royal National Park. Cabins are no longer built here in the National Park, but after decades of campaigning by residents of the shack communities, the existing cabins earned protection from demolition. At North Era I offered a nod of sweaty solidarity as I passed workers building track, before passing by a handful of campers pitching their tents on the grassy campground up behind the beach. I made my way across the sand to sprawl out on the grass at the southern end of the beach: staring at the sky, listening to the ocean, and daydreaming of swimming off the sunscreen and sweat before cowboy camping under the stars. But that was for another day. Today’s mission was Coast Track in a day. And I was just about there. North Era: what if instead of walking, I swam? There was only one more beach beyond Era — Burning Palms — before the track would make its way up through what is known as Palm Jungle. This is a section of the Coast Track that would bring with it the sweet relief of shade, the glory of a new type of landscape (tangled roots, tunnels of green, bird song), and the challenge of a steep ascent to Otford. This was the end. From North Era to Otford Lookout: the final 7km of track. And with the sun beginning to sink behind the escarpment and give the coast a warm golden glow, it was probably just as well Otford wasn’t too far off. The southern end of the Coast Track in Royal National Park. While Burning Palms is the last beach you pass when walking the Coast Track from Bundeena to Otford, it’s also the last cabin community (or beach settlement). When walking the Coast Track, you pass by a few of these cabin communities with off-the-grid homes and surf clubs: first at Little Garie, then Era Beach, and finally at Burning Palms. These settlements have an interesting history. 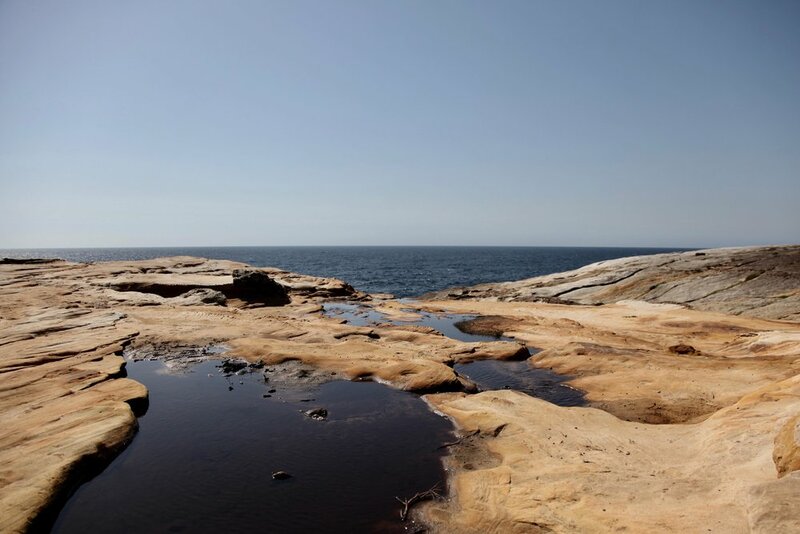 Like every spot of land ever glimpsed by man, the history of the stretch of coastline now home to Royal National Park and the Coast Track is one of contested visions of place. The dynamic between the cabin communities and bushwalking conservationists like Myles Dunphy (1891-1985) and so many who came after him is a case in point. From the very beginning and for every decade of their existence, the presence of these shacks along the coast has been challenged. It’s a challenge the residents of the cabins have successfully seen off. 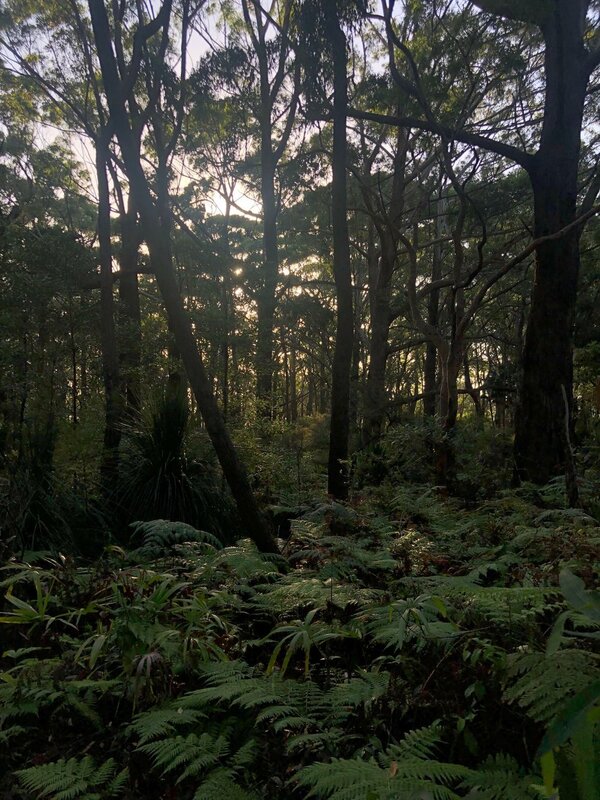 Now we have the coastal bushland protected by National Park status and the cabin communities protected by heritage listing and some legal wins. If this at all piques your interest, there’s a timeline here about the history of the shack settlements and it’s really well worth a read. It offers insight into the history (since colonisation) of the land the Coast Track traverses at the southern end of what is now Royal National Park. The timeline is based on information from ‘Shack Life’, a book by Ingeborg Van Teeseling. Royal National Park at Otford: depending on how you hike the Coast Track, this is either the beginning or the end. For me, it was the end. I made it! The last couple of kilometres from Werrong Lookout to Otford were nothing short of glorious. A bit of a climb after Werrong and then a relatively flat fire-trail style run through to Otford, with shade and dappled golden hour light through the trees. And then I was at Otford. With ocean views as far as the eye can see, and soft light as the sun set into the final half hour of the day’s light. I’d walked the Coast Track in a day. It was bloody excellent. I was exhausted and exhilarated. And now it was time to head home. Otford Lookout, my last view of the coast before heading to the train station. Follow the street signs to Otford Station, it’s a short walk from Otford Lookout. I’ve put together a few tips from my experience walking the Coast Track in a day. Water: unless you are planning on treating water along the way, take all the water you need to complete your hike. * I hiked on a summer day where the temperature was between 25-30°C, and had 4-5L with me. I could've done with more. I didn't run out, but only because I knew exactly how much was in my bottles and hydration bladder throughout the day, and I kept a check on where I was on the track to make sure I didn't run empty before Otford. * There are taps in the bathroom blocks at Wattamolla and Garie, and there’s also a few shallow streams/running water sources you'll come across along the track (or near to the track). I’m not sure about water quality in any of those places — so, expect it’s best to treat before drinking if you choose to refill in this way. Garie Beach Kiosk: there's a kiosk at Garie Beach. It sells water, soft drinks, ice blocks, some light lunch and snack food too. It's cash only, so if you want anything, have money on you. If you want to buy cold water here it’s about $4 for a small bottle and about $6 for a large. I’m not sure of its official opening hours and days (so best not rely on it being open). Boardwalk construction: as at January 2019, there's some work being done on the track, to build in steps and put up more areas of boardwalk. There’s a few signs advising a slight diversion or recommending caution, but there's nowhere you'll have any trouble passing or keeping on track. Just pay attention to the signs and you'll be fine. Sun safety: summer on the Coast Track means hot direct sun beating down on you for long exposed stretches of the track. There’s sections of shade in the Palm Jungle stretch at the Otford end of the track, but in other parts of the track you'll be walking in full sun for what feels like eons. So do all the right things… wear sunglasses, a full brim hat, cover up as much as is comfortable for you, be sure to apply and reapply sunscreen. And take the opportunity to have a breather in shade when it comes along. Toilets: there's flush toilets near Bundeena Wharf, just inside Royal National at Bundeena near the Coast Track trail head, at Wattamolla Beach, and Garie Beach. And there's a non-flush loo at North Era campground. Beaches: if you're having a swim, make sure you read up on conditions and understand what you can handle. You’re a long way from help on most sections of the track so you'll want to make sure you're a confident swimmer and paying attention to any signs warning about conditions. Same goes for Figure Eight pools. The waves down on the rocks can be dangerous. Check the tide conditions here before you go. Bundeena Ferry: if you're ending at Bundeena, don't miss the last ferry back to meet the train at Cronulla. Also, have cash. Tickets are around $7 and are to be purchased on board. The ferry timetable is here. 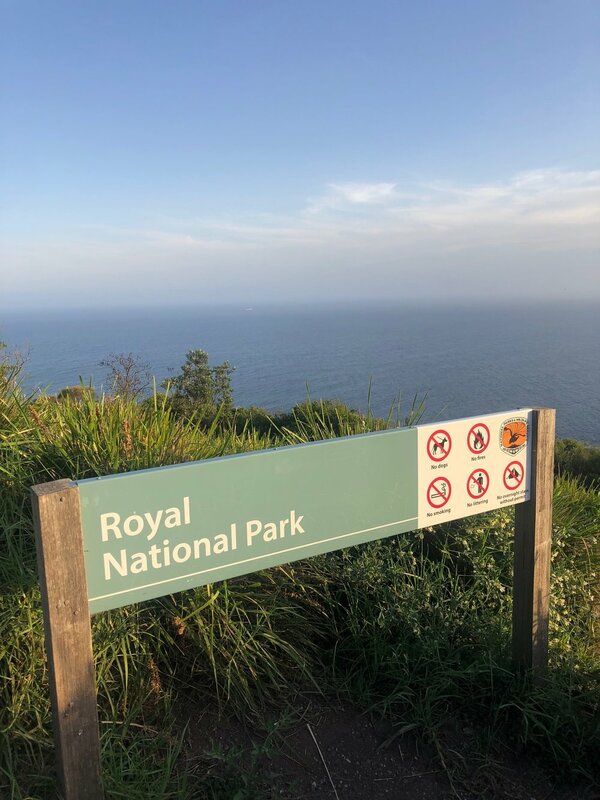 Mobile Phone and Maps: mobile reception in Royal National is patchy, you’ll pick up reception in some parts, but you shouldn’t rely on having phone reception while walking the Coast Track. If you do plan to use your phone — for maps, or anything else — it’s worth taking a back-up battery charger. It is a long walk. Also, get the NSW Parks App and download the Royal National Park map for offline access. You won’t need it to navigate, the Coast Track is well marked and easy to follow. But having a map is good practice — and it can be motivational to know where you’re at when you’ve been walking a while. Camping: if you’re doing an overnighter on the Coast Track be sure to book yourself a camp spot. You can do that here. 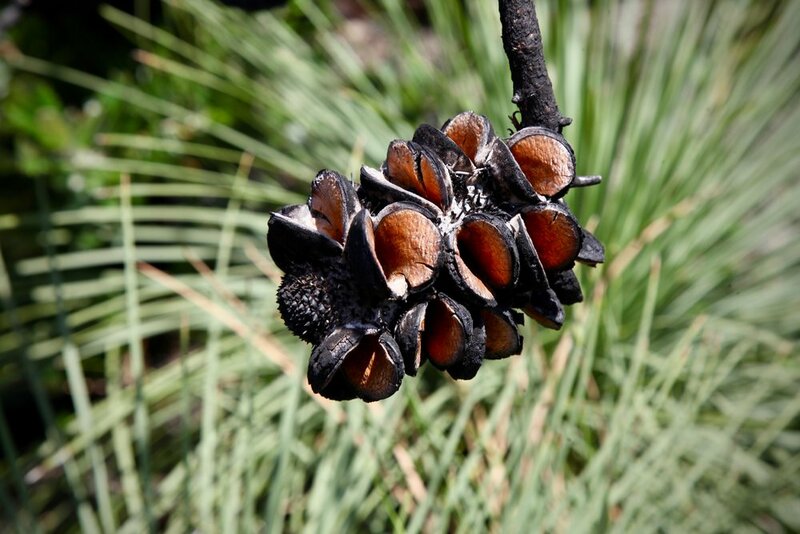 And take your camp stove if you’re looking to cook dinner — don’t go lighting fires in the park. Learn more about The Coast Track over on the NSW Parks website.